Speciality/Niche Websites - Some companies sell a range of products. Other companies have a single line of products. The websites that focus on one line of products or one type of product would benefit from content marketing. The blog and articles can focus on providing in-depth quality content surrounding the type of product or product line the company offers. Low Profit Margin - Content marketing requires an investment of time 9 and money, if you have someone else write it for you). However, after that initial investment, once the traffic starts coming in, the cost to support the content is very low. For websites where there is a low profit margin, the low cost per sale for the content marketing is ideal. Long Lead Nurturing - Some businesses need a bit of time to nurture a lead into a paying customer. With a content rich site, the nurturing process is a bit easier. When your business needs to nurture leads over more than a day or two, invest in rich content that will keep the lead coming back to visit. That will build the trust you need. High Competition - When your company is facing a large amount of competition, you need a way to stand out from the rest. By becoming a site where people can learn and gain valuable information, they will be more likely to use your website and company than your competition's. 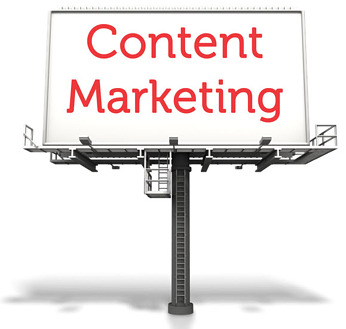 When it is all said and done, almost any company can use content marketing to some extent. Content marketing strategies offer a way to nurture leads of all sorts. Even when a lead has become a customer, rich content will continue to draw them back. They will refer friends and family to the website. They will become repeat customers. Investing in content marketing strategies is a smart business move for business of all sorts. If you are building or revamping your website, plan to add rich content to attract visitors and make the search engines love you. The cost up front is a bit high, but the investment is worth it. Your traffic numbers will improve significantly.